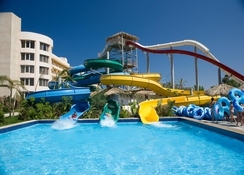 Sindbad Club Beach Resort is a family-friendly luxury spa hotel with in-house waterpark just a short walk from the beach in Hurghada and 15 minutes’ drive from the Hurghada Airport. Offering guests both fun and comfort, the hotel gives them complimentary access to the aqua park and invites them to a restful retreat in its well-appointed plush guestrooms equipped with air conditioning and satellite TV. With six pools, including one for kids with water slides, a fully equipped gym and hairdressing and beauty salons, the hotel allows its guests to enjoy a fun-filled beach vacation with family. The signature spa is the highlight here, guests can relax with sumptuous and revitalising spa treatment delivered by expert therapists during their stay. 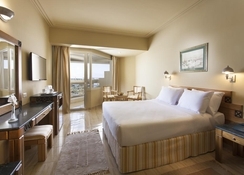 The hotel is just 350m from a fabulous Red Sea Beach and 3.5km from the New Marina. The bustling Hurghada Downtown - Saqqala Square is 11km. 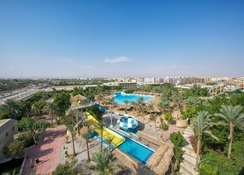 The property is 6km from the Hurghada International Airport. Sindbad Club Beach Resort Hotel & Spa has several types of well-appointed furnished guestrooms to cater to guests. All rooms come with air conditioning, TV, minibar, telephone, towels, shower and hair dryer. While the single and double rooms are for solo or couple travellers, they come with a private balcony with an intimate pool-side view in the spacious standard room. The superior and family rooms add more space and amenities. 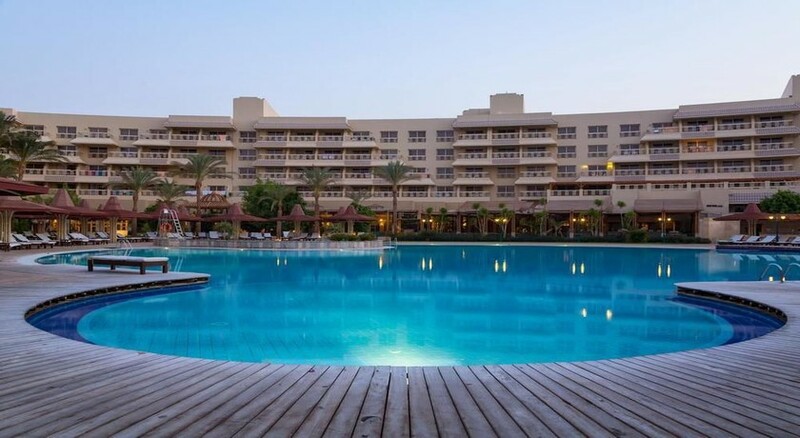 Sindbad Club Beach Resort Hotel & Spa houses few of the finest restaurants in Hurghada. The Lebanese and Middle-Eastern specialties eatery, Fakhr El Din stands out and is a favourite of guests. Sawtadi offers delicious Thai and Asian fare in an intimate setting. Pronto is an Italian a la carte o second floor, offering pastas, succulent seafood and fine wines. There are also three buffet restaurants and four cafes and bars to enjoy a drink. There’s also a kid-friendly buffet. Sindbad Club Beach Resort Hotel & Spa offers some exciting opportunities for relaxation that few hotels in Hurghada can match. Guests enjoy exclusive access to the only submarine in the Red Sea that takes you to 25m below the sea. The adjacent waterpark offers 12 exhilarating waterslides and various wave pools and non-stop thrill rides for splash-tastic fun with family. There is lively evening entertainment at the hotel and special fun programs for kids. Sindbad Quest is a glass bottomed speedboat that takes guests deep into the Red Sea to look at the marine flora and fauna or snorkelling. The signature spa is the highlight here offering relaxing massages to herbal body scrubs and other rejuvenating therapies.